Each decorative style has its own personality. You can decanter for one or the other for your whole house or for a specific room; what it is to make yours those characteristics that define it. 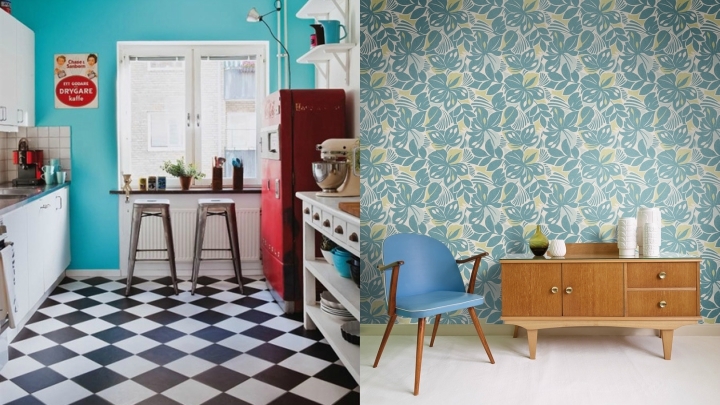 Today we are going to focus on the fifties style, that decoration that takes us to the United States and with which it is possible to design some very special, original and different environments. You can do it in a big way or through small and significant details. There are options for everything. Here are some ideas for you to try introducing it to your own home. 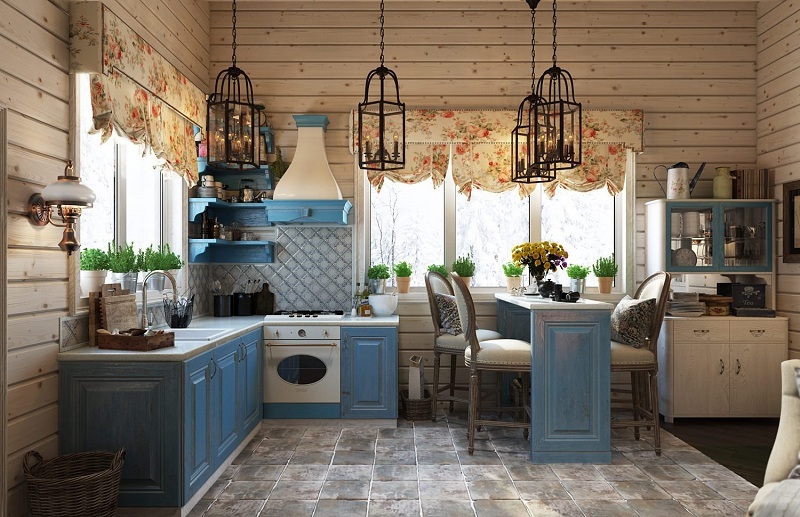 The kitchen is one of the rooms where the coolest style is this decorative style. 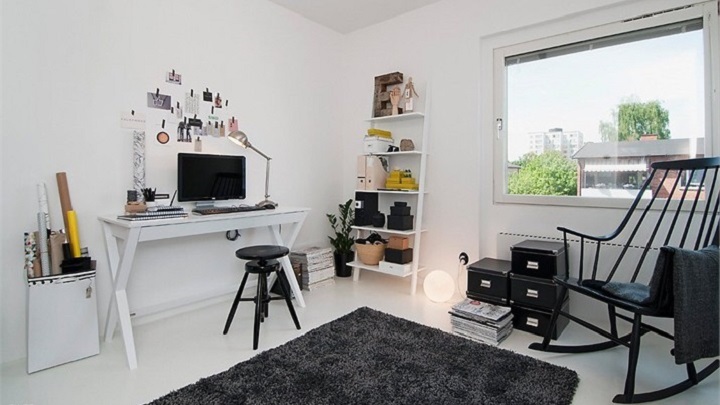 It has several elements that make it easily recognizable, such as black and white checkerboard floor, retro furniture with appliances such as a Smeg fridge, and vivid tones that contrast with the floor and provide a note of color and fun. If you do not want to bother to change the floor, look how nice it is to place some furniture of this style with a brown wood. With very little you can already get a lot! The wooden furniture will be the main protagonists of this decorative style. You can put some chairs and a bar, for example. And it will also give a touch very 50 years a Jukebox colorful retro in which to be able to listen own music of this time to ambient the room. What do you think about the idea? 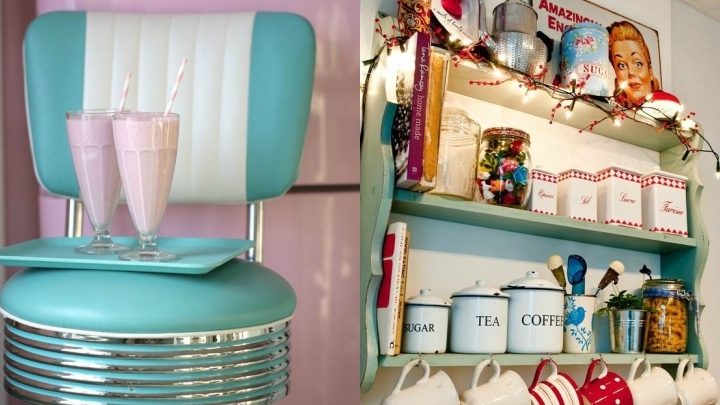 As I mentioned at the beginning, you can decorate the whole room in the 50’s style or place small decorative objects that evoke us at that time and the decoration that was then used. We have already seen how good a Jukebox can be, but you can also bet on other accessories such as metal jars in the kitchen, posters and posters for the wall, with retro advertisements or rock motifs, for example, or add colorful stools in the Kitchen or in the living room, without missing the typical shakes of the American bars of the 50’s, those brought by waitresses climbed on skates. Surely you have visualized what I am talking about. 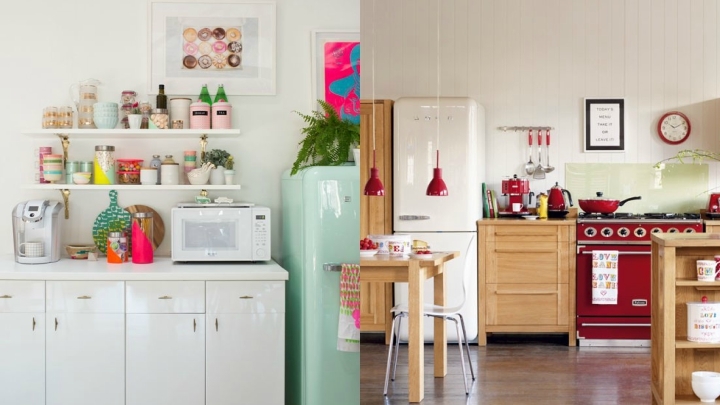 For the kitchen, the colors I like the most are turquoise and pink, although the red ones are also phenomenal, especially when the floor is in black and white and those shades clear and vivid highlight over it. 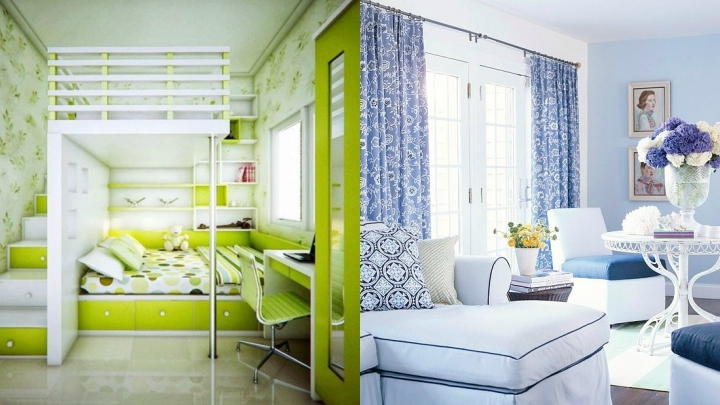 In the rest of the rooms, you can also play with these types of pastels on the walls, textiles or decorative objects.